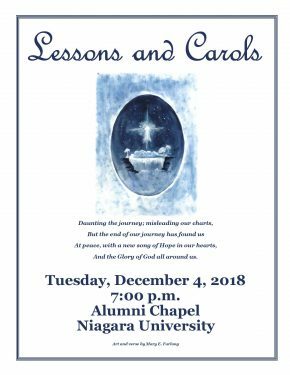 Campus Ministry invites all to an Advent Service of Lessons and Carols. Join in this evening of Scripture, reflection, song, and prayer as we prepare for the celebration of Christ’s birth. The service will be held on Tuesday, December 4 at 7:00 p.m. in Alumni Chapel. The event is free and open to the public.